I am about 100 pages into this nearly 600 page book, and I’ve had enough. To be sure, I’ve read plenty of books that started slow and got better. I am not usually a book quitter. But the problem with Beautiful Creatures is not that is started slow. It’s that is started predictable. 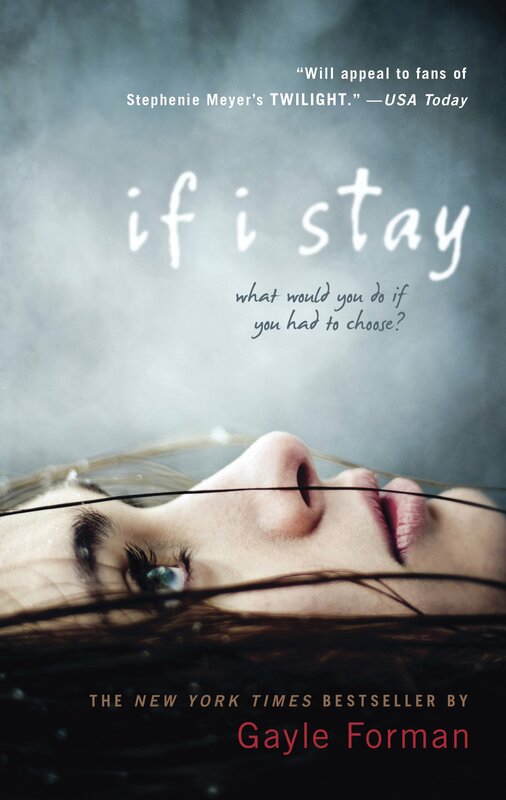 The story (at least the first part) is told from the point of view of Ethan Carter Wate, a teenage boy from a small town in South Carolina who is tired and bored with all his shallow friends, superficial teachers, and the town’s busybody citizens (which is all of them). Poor Ethan’s only solace is in reading (of course) Vonegut and Salinger. Fortunately, for Ethan life begins to gets considerably more interesting when a dark and mysterious new girl, Lena, moves to town to live with her reclusive uncle (the town crazy). Of course all the other kids hate her instantly because people from small, southern towns can’t possibly tolerate anyone different. Only cool, Kurt Vonegut-reading types could ever do that. Ethan on the other hand, is drawn to her not just because he is a secret intellectual, free-thinker, but because Lena has been haunting his dreams for months. And if I’m right Ethan and Lena will fall madly into forbidden love and have to fight against both human and supernatural forces to be together. 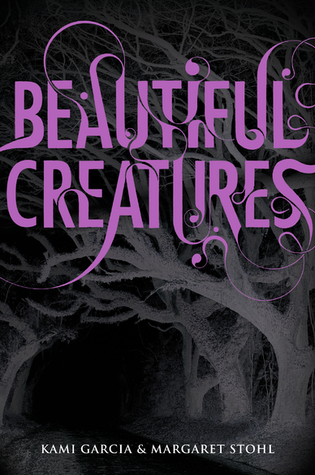 Maybe if there weren’t a zillion other paranormal teen romances on the market, I might have found Beautiful Creatures more intriguing. Maybe. And maybe if I weren’t from a small southern town, I wouldn’t be so tired of the stereotype. Maybe. But aside from all that, I frankly did not care for the supernatural elements. For example Ethan’s beloved housekeeper is practiced in spells and potions and, I suspect, other dark arts. I can handle a few do-gooding vampires and werewolves. And I like my fair share of witches and wizards stories – but only when there is a clear distinction between good and evil. When that line becomes too blurred, you can count me out. It is up to every parent to decided where that line is and how blurry is too blurry but when it comes to what my teen and tween read, I think we will pass on steamy teen romance laced with black magic and sorcery. If you would like to read a review from someone who has actually read the whole novel here is a link to GoodReads. Be sure to scroll down to get reader reviews. I’m also including the movie review from Catholic New Services. I like their reviews because they usually take into account, not only parental concerns, but artistic merit as well. The False Prince, the first book in the Ascension Trilogy, is the story of Sage, a fourteen year old orphan who suddenly finds himself caught up in a clandestine plot of such magnitude, that to fail, will certainly cost him his life. Sage, along with three other boys, has been purchased from an orphanage by Bevin Conner, a nobleman of Carthya. Unfortunately for the boys, Conner is no wealthy benefactor. In fact, for his diabolical plan, he needs only one boy – the one who can pass himself off as the long-lost (and presumed dead) Prince Jaron – the only surviving member of the Carthyan royal family. Sage has perfected life as a loner and a survivor. Now he is being forced into “prince lessons” with two rival boys. On Conner’s luxurious estate, Sage and his rivals undergo reading, sword fighting, horseback riding, and manners lessons. In the end, only one boy will be chosen to be presented at court as Prince Jaron. To succeed and be chosen as the False Prince will mean a life Sage has never wanted and possibly one as Conner’s puppet. To fail will certainly mean death. 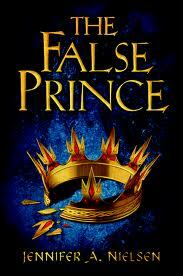 The False Prince is an exciting novel with twists and turns I did not see coming. I chose it because, unlike all the paranormal romance novels lining bookstore and library shelves, I thought this book might appeal to boys. I was not wrong. I’m thrilled to have a book I can recommend to the guys in my English class. Yes, some mild. But nothing too disturbing. I think kids from upper elementary age through high school would enjoy this book. ~ What is true freedom? ~ Sage prefers life as an orphan – a life that is sometimes very very difficult. Why do you think this is? ~ Which of Sage’s rival do you like best the most? The honest but brutally ambitious Roden or the submissive and sneaky Tobias? ~ Does life as a royal sound like fun, or do you think the cost (high expectations, scheming noblemen, enemy nations, etc.) is too high a price to pay for that level of fame, wealth and power? I don’t know how to discuss this book without giving away at least some of what happens, but I don’t think I’ll call a spoiler alert. I don’t give away the end – just a few details from the middle. Tandy Angel is a teenage girl living a life of wealth and privilege – and cruelty. Her parents have very high standards for their children. Though they do reward them lavishly for their successes, they also punish them harshly. 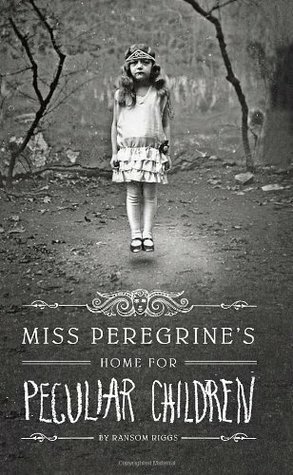 Her parents are demanding, extravagant, controlling, strange, and now dead. They have been murdered in their bedroom in the family’s exclusive Manhattan townhouse while Tandy and two of her brothers are asleep in their rooms. The police immediately suspect Tandy and/or her brothers. The fact that Tandy has been trained by their family therapist to suppress her emotions does not help her case. She comes across to the police as cold and unfeeling (A fact that would have made her parents proud.) And to a degree she is. In fact, Tandy is so good at suppressing that she can’t even be sure she herself is not the killer. After all, she does have “blanks” in her life – periods of time she can’t remember…there’s something about a boy, her parents, and an outburst of anger that landed her in a hospital, but it’s all like a faint dream. To exacerbate Tandy’s problems, she decides to stop taking her “vitamins.” A portion of the Angel fortune comes from her father’s pharmaceutical company. For her entire life this company has not only provided her family with an astronomical income, but also with a daily dose of individually customized “vitamins” for each of the Angel children: Tandy with the off-the charts IQ; Harry, her sensitive and artistic twin; her older brother Matt, the NFL superstar with a hot temper; her younger bother Hugo with an equally hot temper, and her sister Catherine, who died a few years before under mysterious circumstances. Now Tandy is beginning to question a lot of things – including her daily dose of pills. When she stops taking them, she begins to find it more difficult to suppress her emotions. She begins to feel more like a typical 16 year old girls. This book is not really a murder mystery per se. The primary purpose of this book is to set up a new series of books based on the adventures of – you guessed it – a teenage detective who got her feet wet solving her parents’ murder. Sadly, no such information was given in the book’s inside cover. I had to read the entire thing to realize this. Now it isnt’ just that most of the characters, including Tandy Angel, were unlikable and un-relatable. It isn’t just that Patterson used the annoying technique of having the main character address the reader, as in Dear Reader I am not like most girls… It isn’t even that the ending was a big ol’ let down (not to mention totally unrealistic). What I really bothered me about this book, and about so so many of the books I’ve read lately, is that the entire thing was just a big fat prequel. Patterson leaves nearly every detail, except for how the Angel parents die, unfinished. Bottom line, the purpose of this book is to introduce us to Tandy Angel so that we will buy the next book in the Tandy Angel series. Patterson leaves several loose ends. Will Tandy and her brothers be left destitute? Will her brother Matt be convicted of killing his girlfriend? Will she ever be reunited with the mystery boy from her foggy past? And what was in those pills? Just like John Grisham did with Theodore Boone, Kid Lawyer, Patterson cheats us. I read this book expecting a story with a beginning, and middle, and an end, and I really just got a beginning, and a middle. I guess that’s how you sell more books. There are a few four letter words in this book, but they weren’t the really bad ones and they aren’t excessive. Not much. Tandy’s parents are poisoned, so that’s not really violent. They just keel over. We find out that both her parents were having affairs. Matt’s girlfriend reveals an affair with his father, while Tandy discovers the secret lesbian affair her mother has been having with her live-in assistant. None of these affairs are described in any graphic detail. None. No one even wonders where these awful people are now that they’re dead. Did you like Tandy? Why or why not? 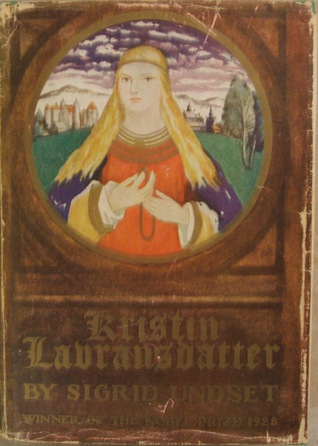 Did you like her more or less as the novel progressed? Is it important to like the main character? Did you suspect Tandy might be the killer? In what ways were Maude and Malcolm (Tandy’s parents) good parents? Were they good parents at all? Think about how many popular books are a part of a series. Why do you think so many author’s these days leave us hanging? Would you like to read a book that begins and ends a story on one volume, or do you like waiting for the next book to come out? Will you want to read the next book in the Tandy Angel series?